Benefits of ThermiSmooth in NYC, best-known anti-aging treatments. Do you think you have a skin cancer? In today's image-conscious society, people are more driven than ever to look as young as they feel. Because aging is a complex process, it calls for a multi-faceted treatment plan. Dermal fillers and neuromodulators such as Botox® are the best-known anti-aging treatments. They address specific issues, namely volume loss and muscle rigidity. However, they do not correct the sagging caused by skin laxity. ThermiSmooth™ is an advanced skin tightening treatment, designed to address this very issue. With time and sun exposure, skin goes through many changes, including damage to the existing collagen network. Simultaneously, collagen production naturally slows, so the weakened network is not repaired. The two possible solutions would be storing existing collagen, or stimulating enhanced collagen development. ThermiSmooth™ does both. The procedure works by delivering a carefully measured amount of radiofrequency (RF) energy. It gently heats the collagen fibers to a specific temperature, causing them to contract. Because the energy is targeted to deep tissues, the surface temperature remains safe and comfortable. The temperatures of the skin and the targeted tissue are monitored for optimal effectiveness. This technology has been extensively tested for safety and effectiveness. In clinical studies, heat above a temperature of 40 degrees Celsius caused the collagen to shrink. It also resulted in a mild inflammatory response, which triggered a gradual increase in collagen production. This natural collagen production is key to enjoying lasting results. You can enjoy smoother, more youthful skin with little to no downtime thanks to ThermiSmooth. Virtually anyone who is unhappy with the texture, appearance, and laxity of his or her skin is a good candidate. This gentle and effective treatment is safe for even delicate facial skin, such as that around the eyes, and even on the eyelids. For most patients, a series of ThermiSmooth™ treatments is needed to achieve the best results. If you are ready to enjoy the benefits of smoother and more youthful skin, call us at (212) 593-1818 and schedule a consultation in Dr. Shelton's Manhattan office to find out if you are a good candidate for ThermiSmooth™. 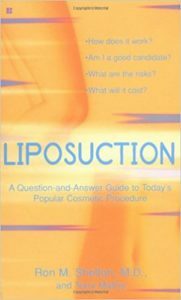 Review from Amazon.com: This is a wonderful book written by a superbly qualified dermatologist. He writes in question and answer format so the average reader can easily understand the procedure and the risks and benefits of this treatment. I’ve now read three other books on the subject and none were as easy to understand as this one. It’s factual and there are no hard-to-understand medical words. 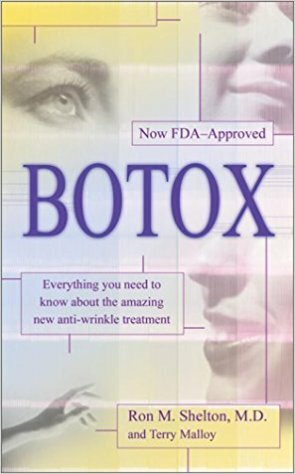 Overall, the book is very reassuring to those of us who might want Botox™ but are anxious about trying something new. 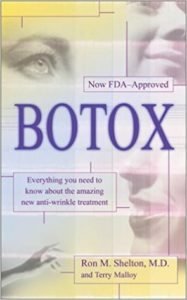 This is a must-read for any patient contemplating either surgery or Botox™. A Reader from New York. To Order Dr. Shelton’s book, please click here.